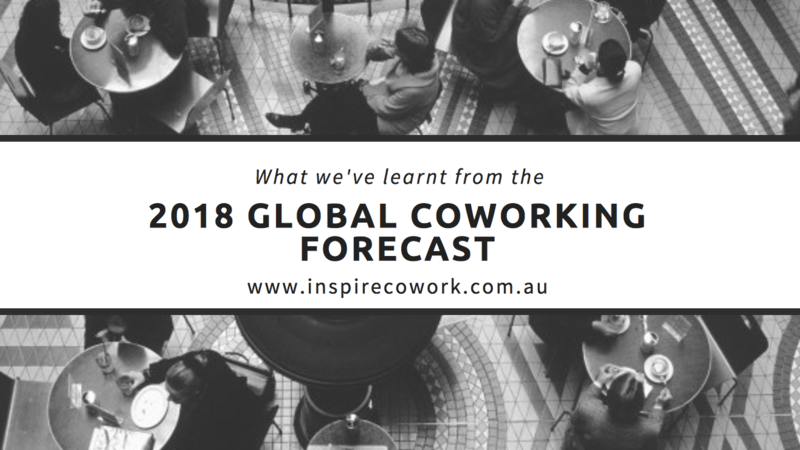 In December, Emergent Research and the Global Coworking Unconference Conference (GCUC) released their numbers for the 2018-2022 Global Coworking Forecast. Dissecting the numbers and delving into the report, the projections for the next 5 years are incredibly exciting for the coworking movement. We will break down what we learned from the report into 3 points. a.Coworking has become a global phenomenon. With new spaces opening their doors in major cities across the globe, the demand and interest in coworking spaces are thriving. With emerging markets within Asia Pacific and other regions such as South and Central America, Eastern Europe, and Russia, the rapid growth will continue through 2022. Over the next 5 years, the overall growth rate may relax due to the mature markets of the US and Europe, although predictions are still forecasted at a healthy growth rate of 15% over the next 5 years. b. With the growing trend of a flexible workforce, large corporations are moving their teams into coworking spaces. Predictions are that this will accelerate over the next 5 years due to corporations looking to mitigate their exposure to long-term leases and employees insisting on more flexible workspace options. c. The real estate industry is playing ball. The demand is increasing pressure on landlords and large real estate firms to start offering coworking options to potential tenants. d. CNBC was quoted saying “If it takes a village to raise a child, then maybe it takes a coworking space to grow a startup”. Startups will continue to flock to coworking spaces due to their understanding of needing a flexible, collaborative and professional workspace at an affordable price. e. When most people hear of coworking, they immediately think of WeWork. The forecast predicts that the number of smaller niche orientated spaces will continue to grow rapidly. Steve King believes that these niche spaces will continue to thrive even as larger coworking brands such as WeWork will take on the large corporate clients. The study was developed with the intent to explore the role that work-related networking plays in coworking communities. Further results show that professional ties are strongly boosted by being a member at a coworking space. When coworking members were asked about their experiences at their respective coworking spaces, the focus was always predominately on the work aspects of coworking. It was intriguing to see that the social ties were what proved to be most valuable. When asked to describe coworking, participants namely mentioned community, fun and social as 3 of their top 5 descriptors. All of which relate to the social aspect of work. Owning and operating Inspire Cowork in the Sutherland Shire, I was enthralled with the social aspect and the statistics which were coming out based on social engagement and business success. As I continued to find articles based on the social ties of coworking, I found that researchers at the University of Michigan reported much higher levels of ‘thriving’ than traditional employees working from a corporate office space. Their work shows that this in part was due to the community aspect of the coworking spaces in which they conducted their business within. It allowed for members to socialize and interact with other members who may or may not be in the same industry as themselves. I don’t necessarily have to read articles or see the statistics of the future of work to draw the same conclusions as I get to see this every day with our members in the space. To see these results in print is reassuring as what we see at Inspire Cowork on a daily basis is being validated by professionals within the industry and concrete numbers which reflect that growth. If you’re currently in the Sutherland Shire and looking to join a coworking space, look no further than Inspire Cowork. We are conveniently located in the heart of the Shire’s CBD in Miranda, only a short stroll from Westfield Shopping Centre. Remember, when looking for a coworking space, it should be authentic and agile, providing an interactive community which allows you to engage or disengage when it suits you and your business needs. Coworking continues to redefine the future of work. Why? Because it is so much more than just a place to work, it’s a better way to live your life. So come and say hello, grab a coffee and see the space before making your decision.